'Real' violas start at 12 inches (same length as a 1/2 size violin) upwards. Although it has the same length as a violin, the sides/ribs of small violas are wider, compared to violins that are strung as violas. For sizes up to 14 inches, violins can be modified if the budget is tight. 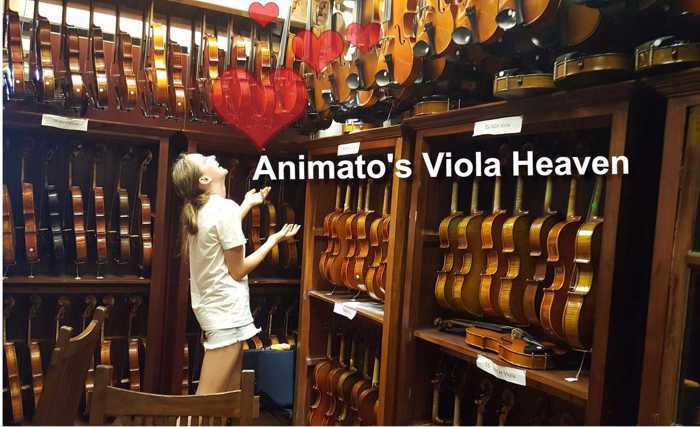 Order Your Viola Instruments from Animato Strings Shop Now! It is always a more inspiring experience to play on a better quality instrument, so do not necessarily limit the quality to your current grade! French Mirecourt Viola c. 1920s 15"